POUR Italian dressing over chicken in large bowl; toss to coat. Refrigerate 30 min. to marinate. HEAT grill to medium heat. Drain chicken; discard marinade. GRILL chicken 8 min. on each side or until done. Brush with barbecue sauce; grill 2 min. Place on platter; sprinkle with onions. Serve with ranch dressing. Per Serving: 140 calories, 10g total fat, 2g saturated fat, 45mg cholesterol, 240mg sodium, 5g carbohydrate, 0g dietary fiber, 4g sugars, 7g protein, 0%DV vitamin A, 0%DV vitamin C, 0%DV calcium, 0%DV iron. Serve with a cold glass of your favorite flavor of KOOL-AID. 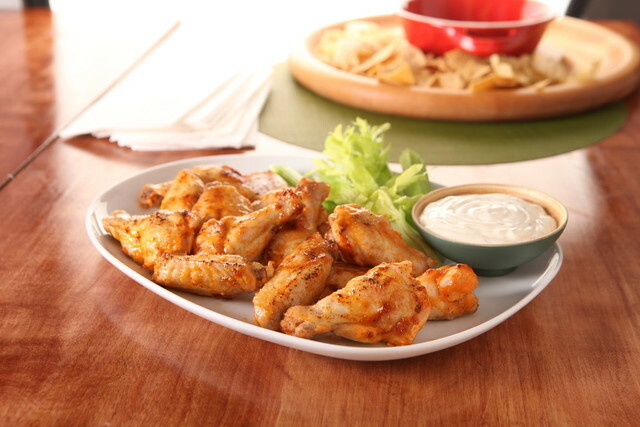 Chicken drumettes are chicken wings that have been split with the tips discarded. If you can't find drumettes, you can use 8 chicken wings (2-1/2 lb. ); split wings at joints and discard the tips before using as directed. Prepare using your favorite flavor BULL'S-EYE Barbecue Sauce, such as Kansas City Style, Memphis Style or Carolina Style. To prevent the barbecue sauce from burning, brush it on the chicken for just the last few minutes of the grilling time.